Away in a Manger a Savior is born and suddenly there was with the angel a multitude of the heavenly host. 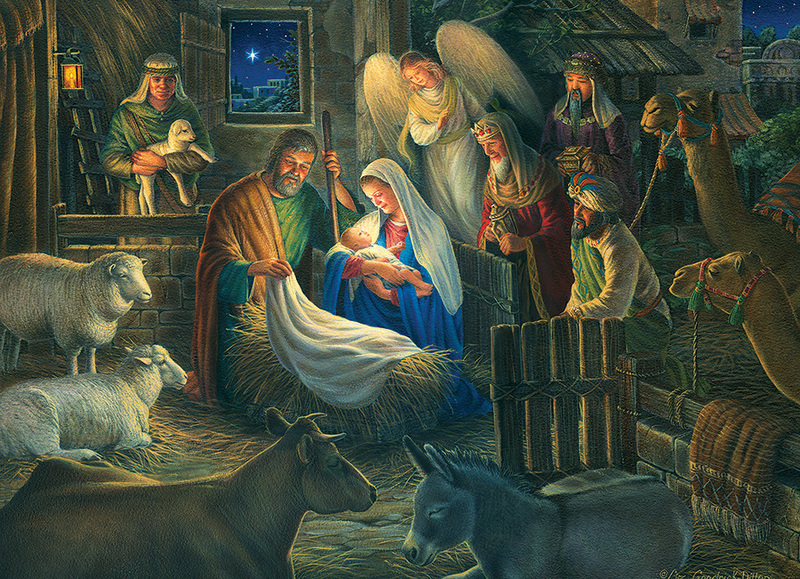 A 500 piece puzzle by artist Liz Goodrick-Dillon to celebrate the true meaning of Christmas. Item # 85040 Weight 1.46 lbs.